Teaching Letter-Writing to a Child with Special Needs - GABRIELLA VOLPE, B.Ed.GABRIELLA VOLPE, B.Ed. Everyone likes to receive a hand-written letter. Writing letters in reply is not only exciting for children, but also a highly motivating writing activity. Some children, however, may struggle with both reading and writing of friendly letters. Erin Waters’ Letter Larry: A Letter-Writing Unit is a comprehensive unit that covers all of the important parts of writing a letter from form/structure to keeping an address book to designing stamps to practicing signature-writing. 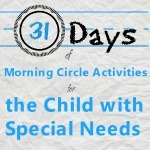 In this post, I’ll show you how a child with difficulties in reading and writing can not only compose a letter, but also mail it to a loved one. For details on the full package, see product description. Below are 10 suggestions for using this letter-writing unit with a child who requires extra support. 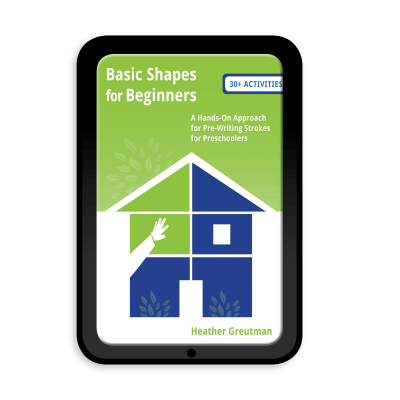 1- Begin where the child is at developmentally. Can your child read? Use the cards as provided. Does your child need more support? Modify the cards to replace words with familiar photos of people, places, and objects. 2- Color-code the cards. Print the card pages on different colored paper according to the parts they represent. For instance: pink for greetings, yellow for the body, gray for salutations. Color-coding helps a child differentiate the parts of a letter. It also makes the sections visually distinct when manipulating and reading the cards. 3- Create a letter-writing Velcro board. Use foam board and Velcro to create an oversized letter template. I recommend using a dark-colored board so that the cards stand out against it. Add Velcro to the back of the laminated word/phrase cards and you have an instant letter-writing manipulative tool. If your child already uses a Picture Exchange Communication System (PECS) or Montessori nomenclature cards, use familiar cards within the letter. If your child uses a technological device for communication, program it with the words and phrases provided in this unit for additional practice. 4- Begin with one-word cards. If your child struggles with reading, begin with the cards that offer one word for greeting, body, and salutation. Select the words your child already knows or that he/she hears spoken often. You can create additional cards based on words/phrases your child might want to learn to read or write instead. 5- Play a matching game. Print and laminate duplicate copies of word/phrase cards. Have your child match the cards in his hands with the cards on the table. 6- Omit the date. The date may be too abstract for some children. You can omit the date cards provided until your child is developmentally ready to understand this concept. 7- Make a reusable graphic organizer. If your child is ready write or copy words/phrases, have him/her write using a dry-erase marker on a laminated letter graphic organizer. 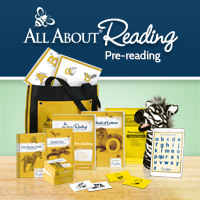 The kit includes 3 different templates to match a child’s “just-right” level. 8- Use a real address book. Even though the unit includes printable address book pages, make the letter-writing activity even more meaningful by purchasing a hard-covered address book with alphabet tabs. 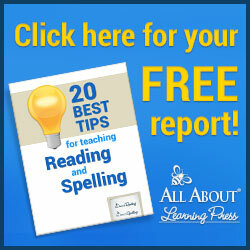 Teach your child to sort names in alphabetical order. Use photos instead of/in addition to written names if your child requires visual support. 10- Use rubber stamps to create adhesive stamps. If your child struggles with fine motor skills and cannot write or draw, have your child use rubber stamps to fill in the stamp templates. Erin Waters suggests printing the stamp templates on adhesive paper so that they can be easily peeled and stuck to an envelope. 10- Make it authentic. Once your child has had enough practice, he/ she can either write a letter independently, write using the phrase cards as a guide, or write by taking a photo of the Velcro board and mailing the printed letter to a loved one. You will need to teach your child how to address an envelope, or you can model it by doing it yourself the first few times. Complete the entire process by walking to the post office or mailbox and sending the letter off. Then, revel in the joy as your child anticipates a letter in return!